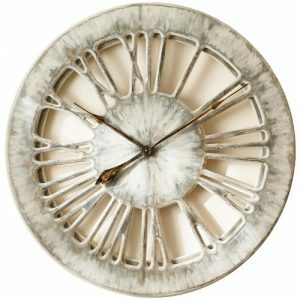 Beauty is always in imperfection and this is why this stunning living room wall clock makes such a strong impression. 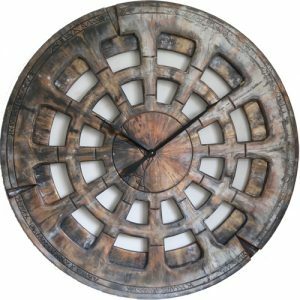 The original design measures 48″ in diameter for people with large empty wall space. 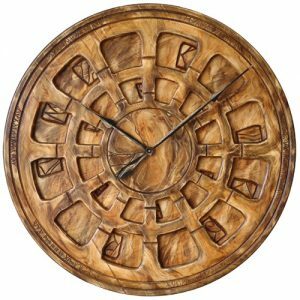 We can also make this clock at smaller sizes that you can select from the drop down list. Don’t compromise on quality when it comes to decorating your living room. 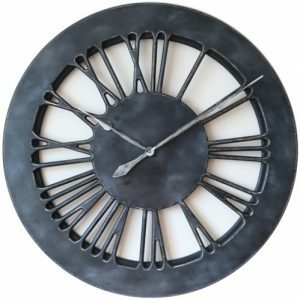 If you want to make sure you can achieve the perfect “wow” factor, selecting any clock from Peak Art will guarantee it. Every week we get loads of emails and photographs from our customers around the World. All of you are looking for something special that you can’t find in the shop window. Although we have dozens of different designs, sometimes none of them perfectly fit your interiors. 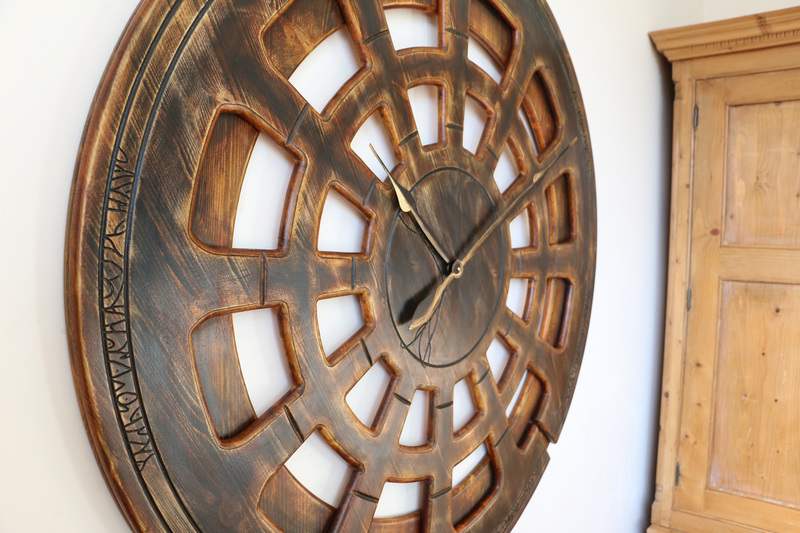 This is how this most stunning large living room wall clock was born. It is based on extra large clock design in much darker tones and we customized it for one of our customers to expose more wood. This beautiful timepiece measures 48 inches in diameter but we can also offer smaller versions at 30 or 40 inches. The most powerful and silent mechanism requires single C-Cell battery and we provide it. 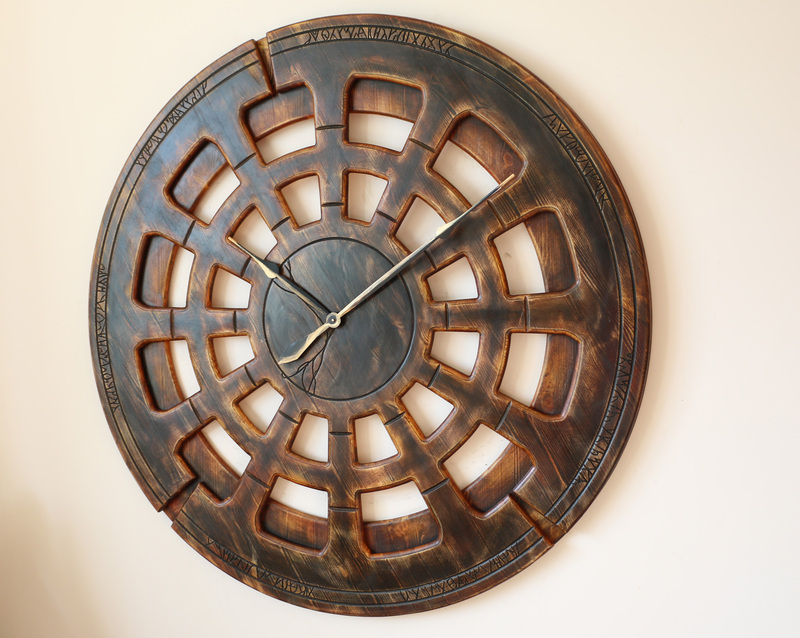 As you can see on the photographs this lovely clock has empty back and very natural and three dimensional look. 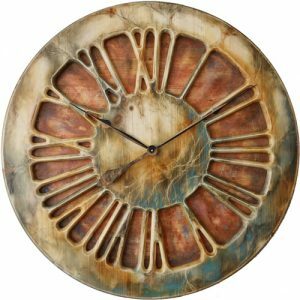 We can assure you that no two wall clocks from Peak Art can ever be the same. Handmade nature of our work makes it impossible to replicate each design but this is what our customers value the most. 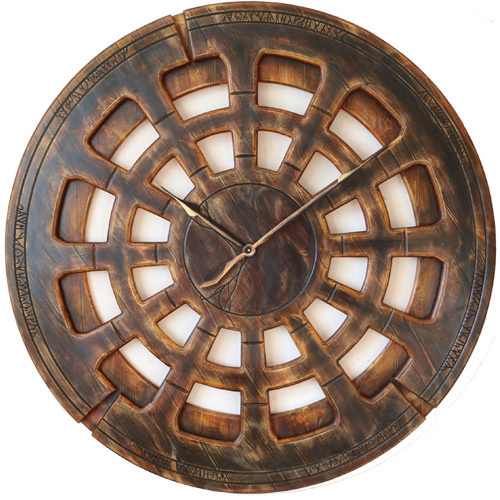 Our mission at Peak Art is to demonstrate that large clocks are not only time telling devices. 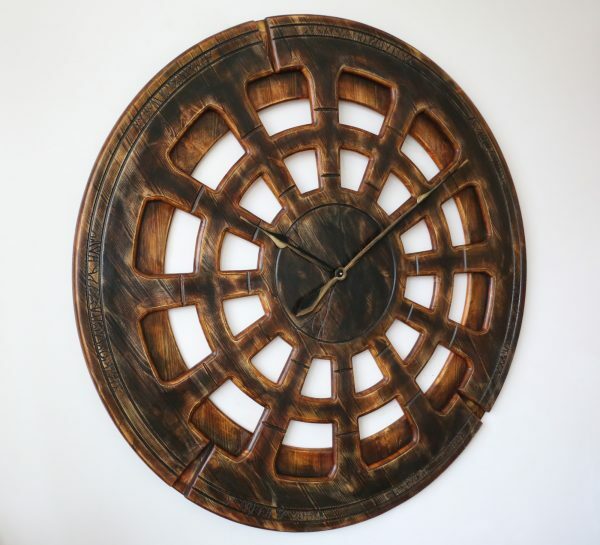 We design and make them to be the focal point of your living room, hotel or restaurant. We want to deliver value to the World by designing unique three dimensional timepieces with a true “wow” factor. Many designs you can see on our website have been inspired by different requirements regarding the size, colour or shape. This is why we encourage you to get in touch if you have any specific needs and can’t find the clock that meets them. Please join our Facebook Community to share your feedback and comments with thousands of Peak Art followers. Lets not follow old trends but introduce new ideas to Interior Design space.